In this Weekly Video, I am Demonstrating a few techniques using Dual Shield Flux core Welding. I am using Boehler E71t-1 .045" (1.1mm) wire. For flat or horizontal Fillet welds, a drag technique seemed to work best. But for Vertical uphill fillet welds, a slightly different technique seemed to get better results. For flat and horizontal welding, a straight up drag technique with no manipulation worked just fine and produced a decent looking bead with almost no ripple pattern. But for vertical uphill welding where gravity pulls downward on the molten puddle, a slight manipulation of the electrode can really help flatten out the bead while still keeping the arc on the leading edge of the puddle. I like to use a series of triangles because it basically just traces the puddle edges. Whether you go clockwise or counter clockwise does not seem to matter much. 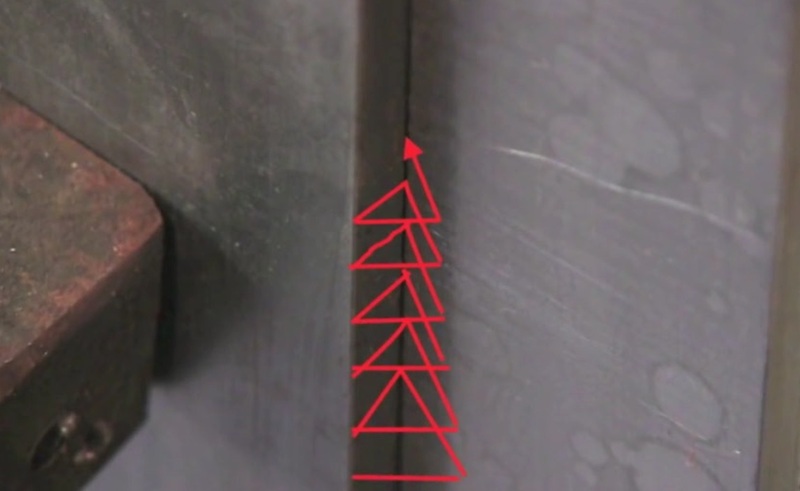 This technique helps provide for excellent penetration into the root of a fillet weld...and also helps to flatten out a vertical uphill weld a bit. I use this technique...a series of triangles...for uphill welding with short circuit mig, pulse spray mig, and even stick welding. 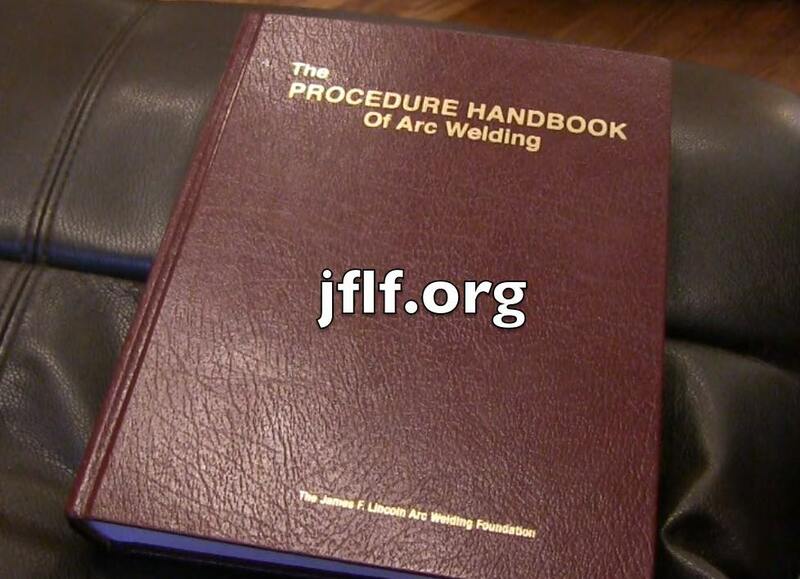 This Book turned out to be the best resource for settings for dual shield flux core welding. That is because the book actually lists settings for different welding positions. when I find a great book like this, I like to share the info. If you are outside the USA, sorry but shipping will most likely be way too much to make it worthwhile. But for USA folks, its a great book at a great price. A comparable book from the American Welding Society Bookstore would be close to 200 dollars. Because the James F Lincoln Foundation is a non profit division of Lincoln Electric, the prices are very low. I think the James F Lincoln Foundation deserves some credit for offering great welding books and great prices so I hope this info helps some folks...especially welding students who will surely benefit from starting their own library of welding books.